The topic of the research work for the thesis was "Studies on irrigation and fertilizer management to reduce lodging in wheat". Submitted in 1992 to G.B.P.U.A. & T., Pantnagar (UP). Wheat (Triticum aestivum) is a crop of national importance and has been grown in India since pre-historic times. Continuous efforts are needed by the researchers to analyze the input-output relationship with the changing agroclimatic situations and the agronomic practices should be modified accordingly. Now a days lodging, is being observed at large scale even under recommended method of fertilizer and irrigation application. A survey of literature revealed that lodging at 10 days before or 20 days after heading seriously affects the dry matter accumulation and distribution, causing the greatest yield decreases in wheat. Reduction in early vegetative growth and plant height can reduce lodging in wheat. And the excess vegetative growth can be checked by delaying first irrigation, i.e. at CRI stage. This suggests the advisability of delaying or withholding of first irrigation as long as possible, preferably to the extent at which either yield is not affected adversely or it is possible to compensate the reduction in yield by efficient management of fertilizers. On the other hand, there have been variations in the optimum dose of fertilizer worked out by different researchers, that could be attributed to variation in soil fertility, soil moisture, agroclimatic situation and cultural practices. Therefore, an integrated approach for applying irrigation and fertilizer judiciously can reduce the lodging and improve the wheat productivity. Keeping the above facts in view a field experiment was conducted at G.B.P. University of Agriculture and Technology, Pantnagar (UP), during rabi 1990-91 to explore the feasibility to reduce lodging by delaying/ withholding the first irrigation at CRI. Further aims were to work out the proper schedule of nitrogen, phosphorus and potassium application with higher doses in comparison to optimum (recommended) schedule of fertilizer application. The experiment was laid out in split plot design including three schedules of first irrigation, i.e., 20 (I1), 30 (I2) and 40 (I3) days after sowing (DAS) in main plots and five fertilizer schedules, i.e., F1, F2, F3, F4 involving N180 P90 K40 kg ha-1 and F5 involving N120 P60 K40 kg ha-1 as per recommended practices in sub-plots with 4 replicates. The time of application of fertilizer varied with the treatment. ½ fertilizer at first irrigation and ½ at second irrigation (F1), all fertilizer at first irrigation (F2), all fertilizer in three equal splits at sowing, first irrigation and at second irrigation (F3), ½ N, full P & K at sowing and ½ N at first irrigation (F4, F5) as per recommended practice, was applied. Variety ‘HD 2329’ was sown at 100 kg seed ha-1 at 23 cm row spacing. Results showed that the crop productivity decreased significantly with the delay in time of first irrigation. Maximum grain, straw and biological yields were recorded under timely schedule of first irrigation (20 DAS), being significantly greater to delay in first irrigation by 10 days (30 DAS) or 20 days (40 DAS). The highest values of growth characters (shoot density, plant height, physiologically active leaves, flag leaf area and DM accumulation) were observed under timely schedule of first irrigation and decreasing trend was found with delay in first irrigation. As regards fertilizer schedule, the higher dose of fertilizer involving N180 P90 K40 kg ha-1 under F1, F2, F3 and F4 had no added advantage with respect to grain yield over recommended practice of fertilizer application (F5). All the four fertilizer schedules involving N180 P90 K40 kg ha-1 promoted lodging over N120 P90 K40 kg ha-1 (recommended practice). The lodging observations gave an indication about the possibility to reduce lodging by delaying or withholding first irrigation, as drastic reduction in vegetative growth was observed. Fertilizer schedules involving heavier dose applied as top dressing derived benefits in respect of vegetative growth, nutrient concentration and uptake, hence, it was possible to maintain at par level in respect to yield attributes and finally grain yield in spite of drastic increase in lodging. Overall, on the basis of the present experiment, first irrigation at 20 DAS and fertilizer schedule F5 (recommended practice) is suggested under pantnagar conditions. The topic of the research work for Ph.D. thesis was "Effect of dicyandiamide (DCD) on the yield and nitrogen uptake in mustard (Brassica juncea (L.) Czern & Coss)". Submitted to Indian Agricultural Research Institute, N. Delhi in 1995. The productivity of mustard is low in our country due to many reasons. Main cause for low is that this crop, though energy rich, is cultivated on marginal lands (low fertility soils) with inadequate supply of fertilizer and water. Amongst the fertilizer nutrients, mustard crop need highest amount of nitrogen as most of the mustard producing soils are deficient in it. Application of adequate amount of fertilizer N to obtain higher seed yield of mustard, therefore, becomes essential. But, the recovery of applied N is very low in mustard in India. Generally, it ranges from 29-35%. Current recommendations for improving fertilizer nitrogen recovery in different crops include split application, balanced fertilizer use, use of urea super granules, controlled-release fertilizers, and adjustments taking rotational effects into account. Also the use of nitrification inhibitors, e.g. neem-cake, nitrapyrin (N-serve) and dicyandiamide (DCD), depending upon the soil, climate and crop, has been recommended. N-serve and DCD are the synthetic chemicals that retard the rate of nitrification for sufficiently longer time, and improves N use efficiency. DCD maintains a desirable level of ammonium- and nitrate-N to the advantage of crop. Besides nitrification-inhibiting properties, DCD also acts as a slow release fertilizer containing 66.6% N. No information is available in the country on the effect of DCD on growth, seed yield and N uptake in mustard. In view of the above facts, a field experiment was conducted during rabi seasons of 1992-93 and 1993-94 at Indian Agricultural Research Institute, N. Delhi, to study the effect of N and dicyandiamide (DCD) on growth, seed yield and its attributes, N uptake and quality of mustard varieties. The treatments consisted of two varieties (Pusa Bold and BIO-902) and ten combinations of levels (0, 30 and 60 kg Nha-1) and sources (100% PU-N, 95% PU-N + 5% DCD-N, 90% PU-N + 10% DCD-N and 85% PU-N + 15% DCD-N) of N including a split application treatment of 60 kg Nha-1 at sowing and after first irrigation. The PU-N and DCD-N indicates that the N was applied through prilled urea (46.6% N) and DCD (66.6%). For the blending of dicyandiamide in urea, gum was added (@ 2g 100-1 g urea) to urea kept in polythene bags and the ingredients were thoroughly mixed. DCD was then added to urea at the desired rates and the constituents of the bags were thoroughly mixed by shaking. The experiments were laid out in a randomized block design with three replicates. Results showed that the variety Pusa Bold produced significantly more seed and oil yield, and also removed greater amounts of N in grain and straw as compared to BIO-902. Pooled data over two years of experimentation revealed that N application significantly increased the plant height, branches, seed yield attributes (number of siliquae per plant, number of seeds per siliqua and 1000-seed weight), harvested biomass, seed and stover yields of mustard up to 60 kg Nha-1. Blending of urea with 10% DCD-N significantly increased growth parameters, seed yield and its attributes, and N uptake of mustard over untreated urea. The increase in seed yield with 90% PU-N + 10% DCD-N over 100% PU-N could be due to inhibition of nitrification at a desirable level of DCD. The total N uptake (seed + straw) increased significantly with successive N levels in both the years and also when the data were pooled. Many researchers have supported this finding. N source 90% PU-N + 10% DCD-N registered significantly higher total N uptake over rest of the sources of N in both the years, excepting 95% PU-N + 5% DCD-N in 1992-93. When N source 90% PU-N + 10% DCD-N was used, the mustard plant assimilated more N probably due to higher availability of N for a prolonged period resulting in increased biomass yield and higher concentration of N in it. The treatments consisting of all combinations of 3 cutting management (C1: last cut for fodder during last week of February, C2 : first week of March, C3 : second week of March), 3 irrigation schedules (I1 : irrigation at last fodder cut and at flowering, I2 : irrigation after 2 weeks of last cut and at seed formation stage, I3 : irrigation at 7 days after last cut and at flowering), and 3 foliar sprays (E1 : gibberellic acid @ 100 ppm, E2 : kinetin @ 50 ppm, E3 : tresol @ 2.5 l/ha), were allocated randomly in each replication. Berseem variety 'wardan' was sown at 25 cm row spacing with 25 kg seed/ha in 4x3 m2 plot. On the basis of pooled analysis of variance over 3 years, the highest seed yield was recorded from cutting management C2 (last fodder cut in 1st week of March), which was at par to C3 (last fodder cut in 2nd week of March), and both producing significantly higher seed over C1 (last fodder cut in last week of February). The pooled analysis of data showed that highest seed yield was recorded from I3 schedule (irrigation 7 days after last cut and at flowering), being at par to I1 (irrigation at last cut and at flowering), and both produced significantly more seed over I2 (irrigation 2 weeks after last cut and at seed formation). Regarding foliar spray of micronutrients/ growth hormones, the highest seed yield was recorded from tresol @ 2.5 kg/ha, being significantly greater to kinetin @50 ppm and GA @ 100 ppm. Field experiments were conducted during rabi seasons of 1998-99 and 1999-2000 at IGFRI, Jhansi, to assess the effect of varying levels of micronutrients/ growth hormones, applied as foliar spray during flowering, on seed yield of berseem. Experiment was conducted in RBD with 4 replications. Treatments (7) were: Tresol @ 1.5 l/ha (T1), 2.5 l/ha (T2), 3.5 l/ha (T3), Gibberellic acid (GA) @ 50ppm (T4), @ 100 ppm (T5), @150 ppm (T6), and control-water spray (T7). The seed @ 25 kg/ha was sown in rows 25 cm apart. The spraying of tresol and GA was done during flowering stage. On the basis of pooled analyses of variance over two years, the highest seed yield (512 kg/ha) was recorded from tresol @ 2.5 l/ha, being at par to GA 50 ppm (502 kg/ha) and both producing significantly greater seed over rest of the treatments. Foliar spray of tresol @ 2.5 l/ha and gibberellic acid (GA) @ 50 ppm both proved effective in improving seed yield of berseem. Considering the cost involved, tresol @ 2.5 l/ha is recommended for enhancing the seed yield of berseem. 2. Studies on fertilizer and row spacing in Cenchrus ciliaris L. (An STR-seed technological research experiment of National Seed Project conducted during 1997 and 1998, worked as experiment leader). Growing of pasture seed crops in rows, rather than in swards, is advocated for most species in first year, and for some species continued row spacing is recommended. The seed production is maximum at an optimum plant density (row spacing); both very low and very high densities reduce seed yield in grasses. Moreover, the realization of higher seed yield from different plant densities is dependent on fertility status of the soil and the fertilizer applied. In view of the above considerations, a field experiment investigated the impact of different row spacing and fertilizer (N and P) levels on seed yield and quality of buffel grass (Cenchrus ciliaris ) during 1997 and 1998 at IGFRI, Jhansi, UP. The experiment was a factorial design comprising all combinations of 3 row spacing (40, 60 and 75 cm) and 3 levels of N and P fertilizer (20 N : 8.7 P, 40 N : 17.5 P and 60 N : 26.0 P kg/ha), arranged in 3 randomized blocks. The results showed that wider row spacing (75 cm) enhanced seed production in this experiment. Number of total tillers/tussock, fertile tillers/tussock, spike length, spikelets/spike, dry matter and seed yield were significantly greater under the wider row spacing (75 cm). Seed yield and its attributes increased significantly up to the highest level of fertilizer, i.e. 60 N : 26.0 P kg/ha. In general, seed quality improved significantly with the increased row spacing, but fertilizer level had no significant effect on seed quality, except for 1000-seed weight. 3. Effect of seed size and seed rate on seed production of forage crops (period from year 1997 to 2000, Worked as project leader). Scientific seed production recognizes the importance of optimum seed size for raising a good seed crop). However, seed certification process favours mostly the inclusion of bold seeds only, rejecting the undersized ones without considering their worth. Thus a sizeable portion of the produce gets rejected and the producer is put to loss. It also prevents the marketing of a good amount of seed causing shortage of seed. To avoid this loss and to improve the availability of seed material without sacrificing the seed quality, it is necessary to study the effect of undersized (small) seed on growth and seed yield of crops. Not only the seed size, but seed rate is also very important in determining the seed yield of crops. Therefore, two different experiments on fodder cowpea and oats were conducted to determine the effect of varying seed size and seed rate on their seed yield. The experiment was conducted in kharif 1997 and 1999 at IGFRI, Jhansi. Treatments comprising of all combinations of two cowpea varieties (Bundel Lobia-1 and UPC-5287), three seed rates (15, 25 and 35 kg/ha) and four seed sizes (small, medium, bold and ungraded), were allocated in split plot design with three replicates. The results showed that variety Bundel Lobia-1 produced significantly more seed as compared to UPC-5287. The highest seed yield was recorded with the lowest seed rate (15 kg/ha). Seed yield was higher when bold seeds, as compared to small seeds, were sown in the field. Overall, seed size and seed rate had no significant impact on seed yield of cowpea. Field experiments were conducted during rabi seasons of 1997-98, 1998-99 and 1999-2000 at IGFRI, Jhansi (UP), India. The treatment consisting of all combinations of two varieties (JHO-822, UPO-212), three seed rates (60, 80, 100 kg/ha), and four seed sizes (small, medium, bold and ungraded), were allocated in a randomized block design with three replicates. The seed was sown in rows 25 cm apart in 5 x 4 m2 plots. A significant variation was observed for seed yield of oats in different years. Highest mean seed yield was recorded during 1999-2000, being significantly higher to first and second year crops. The pooled analysis of the data revealed that variety JHO-822 produced significantly more seed (3.00 t/ha) over UPO-212 (2.51 t/ha). However, the difference in seed yield of two oats varieties was not significant during 1998-99 (second year). The varying seed rate and seed size did not influence seed yield of oats significantly during all the three years of study and also when the data was pooled over three years. The forage crops have been bred for their vigorous vegetative growth, which resulted in their low seed production ability. To overcome the problems of genetic limitation causing poor seed yield, cutting management plays a significant role since it strikes a balance between vegetative and reproductive phases. With this practice, the age of the growth and sprouting of the plants could be suitably managed in such a fashion so as to synchronize the reproductive phase with the favourable photoperiod and temperature conditions. Besides cutting management proper nutrition, especially for nitrogen, is important to enhance seed yield in tropical grasses. As per literature survey, the seed yield of grasses is increased by the application of nitrogen. But, the information on above aspects is not available for many grasses in India. Therefore, in view of the above facts, the following field experiments were conducted to decide the best cutting management schedule and optimum dose of nitrogen fertilizer. This was the 3rd year of the experimentation. The treatments consisting of 4 levels of nitrogen (0, 40, 80 and 120 kg/ha) and 3 cutting management (clipping, cut once and uncut) were arranged in RBD with 3 replicates. Highest seed yield was obtained with application of 120 kg N/ha, which was at par to 80 kg N/ha. Uncut crop produced significantly more seed as compared to crop where clipping or one cutting was done. Field experiments were conducted for 3 consecutive years during 1997-1999 at IGFRI, Jhansi (UP), India. The treatments consisting of all the combinations of three cutting management schedules (Clipping, One cut and Uncut) and four nitrogen levels (0, 20, 40 and 60 kg N/ha), were allocated in a randomized block design with three replicates. The rooted slips of the grass (cv. IGFRI-585) were transplanted in the 3rd week of July, 1997, at a spacing of 50 x 30 cm2. The individual plot size was 4 x 3 m2. The grass was maintained up to April 1999 continuously in the same field. A uniform dose of 30 kg P2O5 and 20 kg K2O /ha was applied as basal in all the plots. In total, the seed was harvested manually for five consecutive harvests for five different seasons (Nov. 1997, April 1998, Nov. 1998, April 1999, Nov. 1999). Varying cutting management schedules affected the seed yield of marvel grass significantly at all the five seed harvests. The uncut treatment produced significantly more seed than clipping and one cut treatments in all the harvests. Except Nov. 1999 harvest, significantly greater seed yield was recorded in clipping over one cut treatment in all the first four harvests. The low seed yield in one cut or clipped crop may be due to slower regrowth, poor synchronization of tiller development and also delayed inflorescence emergence. Varying N levels also influenced the seed yield significantly at all the harvests, except in April 1998. During Nov. 1997, Nov. 1998, and Nov. 1999 seed harvests, N levels 20, 40 and 60 kg/ha did not differ significantly with respect to seed yield. However, in April 1999 harvest, the seed yield increased significantly up to 40 kg N/ha. This experiment has been conducted during years 2000 and 2001, and still continued in 2002. On the basis of studies made over two years the seed yield increased significantly to the highest level of nitrogen i.e., 60 kg/ha. Regarding cutting management schedules, the clipping and uncut treatments recorded at par seed yield. The lowest seed yield was obtained with one cut crop. Further, the uncut crop gave the highest stover yield, followed by clipping and one cut crop. The low recovery of N is a matter of great concern for the farmers, scientists and fertilizer industries. Recovery of N fertilizers in India is below 50%. For forage crops it varies from 25-32% in the country. The low recovery in forage crops results mainly due to nitrate leaching, denitrification and ammonia volatilization. This low N recovery results in great economic loss to the farmers as well as to the country, and also adds to the environmental pollution. In this context, the use of nitrification inhibitors (NIs) holds a great promise to improve nitrogen use efficiency (NUE) and crop yields. But, the information on their use in forage crops for improved N recovery and seed production is not known. Hence, the present study is aimed with overall goal of increased seed productivity and N recovery in forage crops through the use of nitrification inhibitors. The above experiment was conducted during rabi 2000-2001 with the main objective to find out the effect of NIs on NUE, seed productivity and quality of forage oats. The sowing of the experiment was done in the last week of November. The treatments comprised of combinations of (A) N levels: 60, 90 and 120 kg/ha, and (B) Nitrification inhibitors: (i) Prilled urea-basal (ii) Prilled urea- two equal splits (iii) Prilled urea + 10% DCD-N (iv) Prilled urea + 10% Neem-cake (v) Prilled urea + NIMIN @ 0.5 kg/ 50 kg urea, and one control (no nitrogen). Seed yield increased significantly only up to 90 kg N/ha, applied through prilled urea. Application of 60 kg N/ha in two equal splits produced significantly more seed over its basal application. However, application of higher doses of nitrogen (i.e. 90 and 120 kg/ha) in two equal splits did not prove beneficial over their basal application. Seed yield increased significantly with the application of 90 kg over 60 kg N/ha, applied as 90% prilled urea-N + 10% DCD-N. Contrary to the above, the seed yield did not increase significantly with the increase in the N level beyond 60 kg/ha, applied through prilled urea + NIMIN or prilled urea + neem cake coated urea treatments. · Summer land use had a significant effect on grain yield of rice. Sesbania (GM) and Sesbania (GM) + wheat residue incorporation resulted significantly in higher grain yield compared to fallow and wheat residue incorporation alone. Maximum grain was recorded with Sesbania (GM) + wheat residue incorporation which was statistically on par with Sesbania (GM) alone. Phosphorus application had significant effect on grain yield of rice during all the three years of experimentation. However, significant response was recorded only up to 45 kg P2O5/ha irrespective of the sources and remained at par with 90 kg P2O5/ha. The maximum grain yield of rice was recorded with 90 kg DAP/ha among all the levels and sources of phosphorus. · Iron pyrite-blended urea was prepared in our research laboratory and tested to reduce the ammonia volatilization losses in rice soils. Iron pyrites can be usefully employed for reducing ammonia volatilization (AV) losses from the fertilizer urea applied to farm fields. Expressed as percentage of total urea-N lost due to AV, it was 29.14 with urea without pyrite and the least (14.49) with 1: 4 urea: pyrite mixture. · Zinc enriched urea has been prepared in our research laboratory and tested to increase zinc availability in rice-wheat cropping system. Application of 2.0% zinc enriched urea (ZnSO4) recorded significantly higher grain yield, straw yield and biological yields, concentration and uptake of zinc compared to prilled urea alone. The increase in grain yield with 2.0% zinc enriched urea (ZnSO4) over prilled urea alone was to the tune of 25.1%. In general, ZnSO4 enriched urea was a better source than the ZnO enriched urea. · Under System of Rice Intensification (SRI) and Conventionally- grown rice, all the nutrients sources at a fixed rate of NPK produced significantly more grain yield over control. Highest grain yield was recorded with 1/2 compost + 1/2 NPK source, being at par to 1/2 FYM + 1/2 NPK and both produced significantly greater grain yield over sole FYM or compost or NPK fertilizer. There was a non significant difference among FYM, compost and NPK sources, with respect to the grain yield. Interaction effect between systems of rice cultivation and nutrient management practices on grain yield was found non significant. · The residual effect of two systems of rice cultivation was non significant on grain yield of succeeding lentil. Also, the nutrient management practices did not affect the grain yield of lentil significantly in the present study. · Response of scented rice variety ’Pusa 1121’ was recorded up to application of 120 kg N/ha. Maximum grain yield was recorded with 120 kg N/ha that was 13.1 and 32.0% higher over 80 and 40 kg N/ha, respectively. Among sources of N, NBCU (0.1%) recorded highest values of growth characters, yield attributes and yields of rice, which were significantly superior over PU however, remained on par with other sources of N.
· Sulphur application increased significantly grain, straw and biological yield of scented rice. Maximum values of these were recorded with application of 60 kg S/ha. · 'PRH 10' produced significantly higher grain, straw and biological yields of rice than 'Pusa 1121'. Significant effect of N application on grain, straw and biological yields was recorded up to 100 kg N/ha only. However, highest grain yield was recorded with 150 kg N/ha and similar results were also recorded with straw and biological yields. Among sources of N, PNGU recorded maximum grain yield, which was significantly superior over PU however, remained on par with NBCU. · Neem oil coated urea (NOCU) with an oil load of 500 ppm produced significantly more grain yield of rice over the prilled urea. It also recorded significantly higher grain yield over the higher concentrations of NOCU i.e. 5,000 ppm. However, its performance was at par with that of NOCU at 1,000 and 2,000 ppm. There was gradual and significant increase in grain yield with the increased N rates. In contrast to grain yield, stover yields were statistically at par at all levels of neem oils though the maximum value was registered by NOCU @ 500 ppm. The total N uptake due to NOCU at 500 and 1,000 ppm were significantly more over prilled urea. The total N uptake also significantly increased by increasing N dose from 50-150 kg ha-1. · All the sources of urea coated with major neem oil components produced significantly higher rice yields over uncoated urea (control), except when coated with unsaturated fraction at 1,000 ppm. Highest grain yield was recorded with meliacins @500 ppm coated urea, being statistically at par to meliacins @ 1,000 or 5,000 ppm, saturated @ 500, 1,000 or 5,000 ppm, but significantly higher than unsaturated @1,000 ppm coated urea. · Grain yield of different AVT-2 rice entries increased significantly up to 120 kg N/ha over control. Different rice entries also differed significantly with respect to their grain yield. · Inoculation of rice seeds with different plant growth promoting rhizobacteria (PGPR) proved beneficial over no-inoculation, especially with respect to growth and yield of rice hybrids grown by SRI method. A significant variation also existed in the grain yield of different rice hybrids. · The rice hybrid PRH-10 responded to the highest level of N, i.e. 150 kg/ha. Neem oil loaded with 10% meliacins proved significantly superior over prilled urea alone, especially with respect to growth and yield of aromatic hybrid rice. 1. Krishi Jagat- Dhaan Podhshala Prabandhan- Recorded on 14-06-2005 and Broadcast on 20-06-2005 at 7.05 PM at All India Radio Indraprastha Channel, New Delhi. 2. Krishi Jagat- Dhaan mein Poshak Tatv Prabandhan- Recorded on 04-07-2005 and Broadcast on 04-07-2005 at 7.05 PM at All India Radio Indraprastha Channel, New Delhi. 3. Krishi Jagat- Dhaam Podh Perbandhan va Ropai, Recorded on 23-06-2006 at 5.30 PM. Broadcast on 28-06-2006 at 7.05 PM at All India Radio Indraprastha Channel, New Delhi. 4. Krishi Jagat- Dhaan poudhshaala ki Dekhwhaal, Recorded on 30-05-2007 at 11.00 AM and Broadcast on 31-05-2007 at 2.00 PM at All India Radio Indraprastha Channel, New Delhi. 6. Krishi Sansar: Phone-in-programme (live broadcast) of All India Radio. 06-07-2010, 6.20 to 7.30 PM. at All India Radio Indraprastha Channel, New Delhi. 7. Krishi Sansar: Phone-in-programme (live broadcast) of All India Radio. Kharif ki prajatiyaan. 07-06-2011, 6.20 to 7.30 PM. at All India Radio Indraprastha Channel, New Delhi. 8. Krishi Sansar: Phone-in-programme (live broadcast) of All India Radio. Rabi faslon ki prajatiyaan. 01-11-2011, 6.20 to 7.30 PM. at All India Radio Indraprastha Channel, New Delhi. 9. Krishi Sansar: Phone-in-programme (live broadcast) of All India Radio. Rabi faslon me kharpatwar niyantran evam unki dekhwal. 06-12-2011, 6.20 to 7.30 PM. at All India Radio Indraprastha Channel, New Delhi. 10. Haryali Programme: Bhaitvarta-Gehun ki kheti ki dekhwal. NCH, All India Radio, todapur, New Delhi. Recorded on 18-01-2012 (noon). Date of Broadcast: 23-01-2012, 8.05 PM (AIR, 30 minutes). 11. Krishi Sansar: Phone-in-programme (live broadcast) of All India Radio. Zaid faslon me Sam-samyic kriyaein evam kharpatwar niyantran. 20-03-2012, 6.20 to 7.30 PM. at All India Radio Indraprastha Channel, New Delhi. 12. Haryali Programme: Bhaitvarta-Mitti ki urvarta prabandhan. NCH, All India Radio, todapur, New Delhi. Recorded on 18-05-2012 (after noon). Date of Broadcast: 21-05-2012, 8.05 PM (AIR, 30 minutes). 13. Krishi Sansar: Phone-in-programme (live broadcast) of All India Radio. Dhaan se adhik utpaadan ke upaay. 19-06-2012, 6.20 to 7.30 PM. at All India Radio Indraprastha Channel, New Delhi. 14. Krishi Sansar: Phone-in-programme (live broadcast) of All India Radio. Gehun ki pachheti buwaai evam kharpatwar niyantran. 04-12-2012, 6.20 to 7.30 PM. at All India Radio Indraprastha Channel, New Delhi. 15. Krishi Sansar of All India Radio. Faslon mein potash ka mahatv. Recorded on 21-02-2013 afternoon and broadcast on 21-02-2013 at 7.05 PM (10 minutes) at All India Radio Indraprastha Channel, New Delhi. 17. Krishi Sansar: Phone-in-programme (live broadcast) of All India Radio. Dhaan ki unnatsheel prajatiyan evam podhshala prabandhan (Improved varieties and nursery management of rice). 04-06-2013, 6.20 to 7.30 PM. at All India Radio Indraprastha Channel, New Delhi. 18. Krishi Sansar: Phone-in-programme (live broadcast) of All India Radio. Dhaan ki Dhaan fasal ki ropaai evam kharpatwar niyantran. 02-07-2013, 6.20 to 7.30 PM. at All India Radio Indraprastha Channel, New Delhi. 19. D.D. Banswal’s programme on “Kheti mein adhunik machinon ka prayog. Recorded on 02-07-2013 and broadcast on 05-07-2013 at National channel. Discussed paddy transplanter and hydroponics nursery. 1. Dhaan ki Ropaai scientific tarike se, Krishi Darshan (of Delhi Doordarahan). Recorded on 8th July, 2006 at 11.00AM, and Telecast on 11th July, 2006 at 6.30 PM. 2. Dhaan ki Kataai purv evam uprant Saawdhaanian. Krishi Darshan (of Delhi Doordarahan). Recorded on 6th October, 2006 and Telecast on 9th October 2006 at 6.30 PM. 3. Dhaan ki ropaai, Krishi Darshan (of Delhi Doordarahan). Recorded on 19th June, 2007 at 11.00AM, and Telecast on 20th June, 2007 at 6.30 PM. 4. Dhaan ki fasal mein samyaic kriya, Krishi Darshan (of Delhi Doordarahan). Recorded on 1st October, 2007 at 11.00AM, and Telecast on 3rd October, 2007 at 6.30 PM. 5. Hari khaad ki buwaai aur dekhwal May 2008 (Mandi House). 8. Dhaan ki ropai mein sawdhaanian.. Telecast 11 July, 2008 at 6.30 AM (National Channel), DD, New Delhi. Recorded on 9-07-2008. 9. Dhaan ki Fasal ki Dekhwal- keet aur rog niyantran Telecast 12 September, 2008 at 6.30 AM (National Channel), DD, New Delhi. Recorded on 06-09-2008. 10. Dhaan ki fasal mein poshak tatv prabandhan, Jal prabandhan evam Fasal Suraksha. Telecast 17 September, 2008 at 6.30 PM (Mandi House), DD, New Delhi. Recorded on 016-09-2008. 11. Dhaan ki fasal ki kataai mein sawdhaanian. Telecast 17 October, 2008 at 6.30 AM (National Channel), DD, New Delhi. Recorded on 14-10-2008. 12. Faslon per varsha ka prabhaav. Telecast on 16 September, 2009 at 6.30 AM (National Channel), DD, New Delhi. Recorded on 14-09-2009. 13. Expert in the Krishi D arshan ‘Phone In Prog’ on the Subject- Dhan evam Kapas ki Kast. Telecast on 27-05-2010 at 6.15 PM to 7.00 PM, Live. 14. Kharif faslon mein sumsamayik kriyaan.. Recorded on 7-9-2010. Telecast 08-09-2010 at 6.30 AM (Krishi Darshan, National Channel), DD, New Delhi. 15. Berseem evam jai se adhik chara evam beej Utpaadan.. Recorded on 2-12-2010. Telecast 03-12-2010 at 6.30 AM (Krishi Darshan, National Channel), DD, New Delhi. 16. Dhaan nursery ki taiyaari. Recorded on 28-05-2011. Telecast 01-06-2011 at 6.30 AM (Krishi Darshan, National Channel), DD, New Delhi. 17. Dhaan ki ropai mein savdhaaniyan. Telecast 15-07-2011 at 6.30 AM (Krishi Darshan, National Channel), DD, New Delhi. 18. Paale se bachab. Recorded on 27-12-2011, and telecast on 28-12-2011 at 6.30 AM (Krishi Darshan, National Channel), DD, New Delhi. 19. Gehun fasal mein samyik karya avam pacheti fasal mein kharpatwar niyantran. Recorded on 13-01-2012, and telecast on 18-01-2012 at 6.30 AM (Krishi Darshan, National Channel), DD, New Delhi. 20. Sugarcane ki bijai. Recorded on 13-02-2012, and telecast on 15-02-2012 at 6.30 AM (Krishi Darshan, National Channel), DD, New Delhi. 21. Dhaan ki nursery ki buwaai. Recorded on 21-06-2012 and Telecast on June 22, 2012 at 6.30 AM (Krishi Darshan, National Channel), DD, New Delhi. 22. Dhaan ki Nursery ki buwai evam ropai. Telecast on July 2, 2012 at 6.30 AM (National Channel), DD, Khel Gaon, New Delhi. Recorded on 25-06-2012. 23. September mah mein dhan ki dekhwal. Telecast on September 17, 2012 at 6.30 AM (National Channel), DD, Khel Gaon, New Delhi. Recorded on 12-09-2012. 24. Dhaan ki Suraksha (Fe, Zn, N, Insects, Diseases). Telecast on October 2, 2012 at 6.30 AM (National Channel), (Krishi Darshan, National Channel), DD, New Delhi. 25. Rabi daalon ki buwaai. Recorded on 29-10-2012 and Telecast on November 5, 2012 at 6.30 AM (National Channel), DD, Khel Gaon, New Delhi. 26. Gehun ki buwaai. Recorded on 29-10-2012 and Telecast on November 12, 2012 at 6.30 AM (National Channel), DD, Khel Gaon, New Delhi. 27. Gehun evam anya rabi faslon ki Dekhwal. Recorded on 18-01-2013 and Telecast on 21-01-2013 at 6.30 AM (National Channel), DD, Khel Gaon, New Delhi. 28. Gehun beej fasal mein samyik kriyayen. Recorded on 02-04-2013 and Telecast on 3 April, 2013 at 6.30 AM (Krishi Darshan, National Channel), DD, New Delhi. 29. Greeshmkaleen mung ki buwai. Recorded on 24-04-2013 and Telecast on 29-04-2013 at 6.30 AM (National Channel), DD, Khel Gaon, New Delhi. 30. Greeeshmkaleen Hari khad ki buwai. Recorded on 24-04-2013 and Telecast on 02-05-2013 at 6.30 AM (National Channel), DD, Khel Gaon, New Delhi. 31. Pusa Punjab Basmati 1509: Basmati dhan ki ek nai kism (Interviewing Dr A.K. Singh, Genetics, IARI). Recorded on 03-05-2013 and Telecast on 06-05-2013 at 6.30 AM (National Channel), DD, Khel Gaon, New Delhi. 32. Dhan ki nursery ki buwai. Recorded on 30-05-2013 at 8.30 AM, and Telecast on 03-06-2013 at 6.30 AM (National Channel), DD, Khel Gaon, New Delhi. 35. Dhaan fasal mein samsamayik karya. Recorded on 31/07/2013 and Telecast on 5th August, 2013 at 6.30 PM, Krishi Darshan, DD, Mandi House, New Delhi. 36. Dhaan fasal mein samsamayik karya. Recorded on 08/08/2013 and Telecast on 12th August, 2013 at 6.30 AM (National Channel), DD, Khel Gaon, New Delhi. 1. Delivered a lecture on the topic "Dhanya faslon ki Jaivik kheti" in Training on vermicompost, organic farming and IPM on Rabi crops", 5th October, 2006, for Farmers and Development Officers of Delhi State. Jointly organized by Development Department, Delhi and CATAT Division, IARI, New Delhi-12. 2. Delivered a lecture on the topic " Economizing water use in rice through system of rice intensification and direct seeding". In: Summer School on Crop Diversification for Sustainable Farming, 5 - 25 August, 2006. Sponsored by ICAR, New Delhi and organized by Division of Agronomy, IARI, New Delhi-12. 3. Delivered a lecture on the topic " System of rice intensification". In: Winter School on Resource Conservation Technologies, October, 2007. Sponsored by ICAR, New Delhi and organized by Division of Agronomy, IARI, New Delhi-12. 4. Delivered a lecture on the topic "System of rice intensification: An eco-friendly approach to enhance farm-input use efficiency". In: Winter School on "Climate change, Crop Yield and Sustainability" 19 February, 2008. Sponsored by ICAR, New Delhi and organized by Division of Environmental Sciences, IARI, New Delhi-12. 15th February to 7th March 2008. 5. Delivered a lecture on the topic "Dhaan ki SRI Utpaadan paddhti mein Jal Prabandhan". Farmers' Training Programme (11-03-2008 to 17-03-2008). Delivered lecture on 15th March 2008 at 10.30 AM at KVK, Shikohpur, Haryana. Organized by Water Technology Centre, IARI, New Delhi. 6. Delivered a lecture on the topic "Kharif ki khaddyan faslon mein vividhikaran dwara jeevikopaarjan vriddhi". Farmers' Training Programme (07-07-2008 to 13-07-2008). Delivered lecture on 11th July 2008 at 2.15 PM at KVK, Muradnagar of S.V.B.P.U. A. & T., Meerut. Organized by Water Technology Centre, IARI, New Delhi. 7. Delivered lecture on “Kharif faslon ki jaivik kheti mein poshak tatv prabandhan”. In One day training programme on Jaivik Kheti for Delhi Government’s Agricultural Extension Officers and Progressive Farmers, 25 July, 2008. Training Coordinator-Dr R.S. Chhillar, Head, CATAT, IARI, New Delhi. Sponsored by Development Commissioner, Government of Delhi, Delhi. CATAT, IARI, New Delhi. Pp 1-10. 8. Delivered lecture on “Faslon mein ekikrit poshak tatv prabandhan”. In Ten days (11-20 Sept. 2008) training programme on crop production for innovative farmers of Bijnaur (UP) , Delivered on 13 September, 2008. Training Coordinator-Dr R.S. Chhillar, Head, CATAT, IARI, New Delhi. Venue: Agricultural Technology Information Centre (ATIC), IARI, New Delhi. 9. Delivered lecture on “Dhaan mein poshak tatv prabandhan”. On 26 September 2008, training programme on rice production for farmers of Raipur (MP) , Training Coordinator-Dr R.S. Chhillar, Head, CATAT, IARI, New Delhi. Venue: Agricultural Technology Information Centre (ATIC), IARI, New Delhi. 10. Delivered lecture on “Soil fertility management and biofertilizers”. Dated 19 October 2008. In: Training on “Advances in Research and Development of Floriculture Crops: Gladiolus, Marigold, Tuberose, Gerbera and Rose” for Persons of Directorate of Horticulture and Processing, Uttar Pradesh during 18 – 24 October 2008. Division of Floriculture and Landscaping, IARI, New Delhi – 12. 11. Delivered lecture on “Relationship between plant roots and rhizosphere flora as affected by agronomic practices: In: Training programme (Winter School) on Strategies for Augmenting Rhizosphere for Sustaining Soil Fertility and Productivity, 3 – 24 November, 2008. Lecture delivered on 5 November 2008, 10.15 – 11.30 AM. Course Director: Dr R.K. Rai; Coordinator: Dr Shiva Dhar. Organized by Division of Agronomy, IARI, New Delhi – 12. 12. Delivered lecture on “Soil fertility and productivity management, and biofertilizers”. Dated 7 November 2008. In: Training on “Advances in Research and Development of Floriculture Crops: Gladiolus, Marigold, Tuberose, Gerbera and Rose” for Persons of Directorate of Horticulture and Processing, Uttar Pradesh during 4-10 November 2008. Division of Floriculture and Landscaping, IARI, New Delhi – 12. 14. Delivered lecture on “Dhaan utpaadan”. In Seven day training programme (11-17 August 2009) on ‘Adhik aai ke liye unnat utpaadan takneek’of ATMA (Progressive farmers from Bihar), 11 August, 2009. Training Coordinator-Dr R.S. Chhillar, Head, CATAT, IARI, New Delhi. Sponsored by Development Commissioner, Government of Delhi, Delhi. CATAT, IARI, New Delhi. 15. Delivered a lecture on the topic "Resource conserving technology for higher crop productivity". Delivered lecture on 5th November 2009 at 09.30 to 11.30 AM at Water Technology Centre, IARI, New Delhi in training “7th Trainers Training Programme on Enhancing Water Productivity in Agriculture”, 2nd November to 15 November 2009. Organized by Water Technology Centre, IARI, New Delhi. 16. Delivered lecture on “System of rice intensification and basmati rice farming for improving small farmers economy in India”: In: Training programme (Winter School) on Multi-criteria decision making and optimization methodology for sustainable farming system, 20 October to 09 November, 2009. Lecture delivered on 25th October 2009, 3.30 – 04.30 PM. Course Director: Dr U.K. Behera; Coordinator: Dr T.K. Das. Organized by Division of Agronomy, IARI, New Delhi – 12. 17. Water management in paddy and other major kharif crops. 22/12/2009, 2.30 to 3.30 PM. In: Training on “Exposure visit of farmers” 22 – 23 December 2009. Organized by CATAT, IARI, New Delhi. 18. Novel practices and approaches of paddy cultivation. 18-05-2010, 11.45 AM – 1.00 PM. In: Integrated training course under IARI-NGOs collaborative extension programme from 18-22 May 2010. Organized by CATAT, IARI, New Delhi. 19. Ganne ki unnat kheti. Ten days training programme for Muzaffarnagar (UP) farmers “ Adhik aay ke liye unnat krishi utpaadan takniki” 22-06-2010 at 12.00 noon to 1.00 PM. Organized by CATAT, IARI, New Delhi.15-24 June 2010. Coordinator- Dr B.K. Singh. 20. Gehun buwaai ki nai taknik.. Ten days training programme for Saharanpur (UP) farmers “ Tikaau krishi vikaas ke liye Jaivik kheti evam evam anya prodiyogiki” 28-06-2010 to 07-07-2010, delivered on 03-07-2010 at 12.00 noon to 1.00 PM. Organized by CATAT, IARI, New Delhi.15-24 June 2010. 21. Faslon mein ekikrit poshan prabandhan. In 5 days training programme (16-20 August 2010) on ”Uchch utpadakta evam aay ke liye unnat krishi prodyogikiyaan” of ATMA (Progressive farmers from Madhubani, Dist-Patna, Bihar), 17 August, 2010. Training Coordinator-Dr Monika Wasan, OIC-ATIC, IARI, New Delhi. 22. Dhaan ki fasal mein mrida poshan evam samsamyak prabandhan takniki. In 7 days training programme (16-23 August 2010) in villages Bayana and Kazipur (Ghaziabad) on 20-08-2010. Organised by WTC, IARI, New Delhi under the 11th Five Year Plan’s scheme on improvement in water productivity. 23. Faslon mein ekikrit poshan tatva prabandhan. In 5 days training programme (23-27 August 2010) on ”Uchch utpadakta evam aay ke liye unnat krishi prodyogikiyaan” of ATMA (Progressive farmers from Dist-Champaran, Bihar), 23 August, 2010. Training Coordinator-Dr Monika Wasan, OIC-ATIC, IARI, New Delhi. 24. Ganne ki unnat kheti. In 5 days training programme (23-27 August 2010) on ”Uchch utpadakta evam aay ke liye unnat krishi prodyogikiyaan” of ATMA (Progressive farmers from Dist-Champaran, Bihar), 27 August, 2010. Training Coordinator-Dr Monika Wasan, OIC-ATIC, IARI, New Delhi. 25. Dhaan Ropan ki SRI vidhi. In 6 days training programme (26-31 August 2010) on ”Tikaau kheti hetu unnat krishi takniki, vipnan evam kataai uprant prabandhan”.for progressive farmers from Dist-Lakhisaray, Bihar, 30 August, 2010. Training Coordinator-Dr J.P. Sharma, Head, ATIC, IARI, New Delhi. 26. Faslon mein samekit poshak tatva prabandhan. In 6 days training programme (6-10 September 2010) of Bameti, dist. Gaya (Bihar) ”Uchch utpadakta evam aay ke liye unnat krishi prodyogikiyaan” of ATMA (Progressive farmers from Dist-Gaya, Bihar), 06-09-2010. Training Coordinator-Dr Monika Wasan, OIC-ATIC, IARI, New Delhi. 27. Ganne ki aadhunik kheti. In 6 days training programme (06-10 September 2010) on ”Tikaau kheti hetu unnat krishi takniki, vipnan evam kataai uprant prabandhan”.for progressive farmers from Assam, 09-09-2010. Training Coordinator-Dr J.P. Sharma, Head, CATAT, IARI, New Delhi. 28. Kharif faslon mein sasya kriyayen. In 7 days training programme (14-20 September 2010) in villages Badagaon and Sankrod (Khekra Block, Dist-Bagpast, UP) on 18-09-2010. Organised by WTC, IARI, New Delhi under the 11th Five Year Plan’s scheme on improvement in water productivity. 29. Weed Management in System of Rice Intensification (SRI) for Improving Yield of Rice. “Recent advances in chemical and non- chemical approaches of weed management in cropped and non-cropped areas” during 15th November to 06th December, 2010 in the Division of Agronomy, IARI, New Delhi. Course Director: Dr Rajvir Sharma. Lecture delivered on 02-12-2010. 30. Nutrient and water management in field crops. In 7 days training programme (23-29 December 2010) in villages near Sonipat (Haryana) on 28-12-2010. Organised by WTC, IARI, New Delhi under the 11th Five Year Plan’s scheme on improvement in water productivity. 31. Gehun buwaai ki nai taknik.. Ten days training programme for Saharanpur (UP) farmers “ Tikaau krishi vikaas ke liye Jaivik kheti evam evam anya prodiyogiki” 28-06-2010 to 07-07-2010, delivered on 03-07-2010 at 12.00 noon to 1.00 PM. Organized by CATAT, IARI, New Delhi.15-24 June 2010. 32. Integrated nutrient management in field crops. In 7 days training programme (18-24 January 2011) in villages Dhitara and Kalapuri (Mewat Dist., Haryana) on 20-01-2011. Organised by WTC, IARI, New Delhi under the 11th Five Year Plan’s scheme on improvement in water productivity. 33. Integrated nutrient management in rabi crops. In: 5 days training programme ” Improved Agricultural Technologies for Sustainable Crop Production, Marketing and Post Harvest Technologies for Higher Income” from 27-31 January 2011, farmers of Lakhisarai Dist. (Bihar). Delivered the lecture on 27-01-2011 at 11.00 AM to 12.00 Noon. Organized by Dr Shantanu Kr. Dubey, Course Director, Agril. Extension, IARI, New Delhi. 34. Wheat Production Technology. In: 5 days training programme ” Organic Farming of Rabi Crops” from 07-11 February 2011, sponsored by ATMA, farmers of Jhalawar Dist (Rajasthan). Delivered the lecture on 07-02-2011 at 11.45 AM to 1.00 PM. Organized by Dr J.P.S. Dabas, Course Director, CATAT, IARI, New Delhi. 35. Balanced and Integrated Plant Nutrient Management for Sustainable Crop Production in India. Delivered to MSc (Ag.) Agronomy Ist and IInd year students of R.S.M. Degree College, Dhampur, Dist. Bijnor (UP), on 12th March 2011. 36. Scientific cultivation of basmati rice. In: 2 days training programme on “Kharif season crop cultivation” for the officers of development department, Govt. of NCT of Delhi during 5-6 July 2011. Lecture given on 06-11-2011. Organized by CATAT, IARI, New Delhi. 37. Agronomic concepts and terminologies. In: Training on “Field Survey and Electronic Compilation of Data” at National Centre for Agricultural Economics and Policy Research (NCAP), New Delhi, 21-07-2011, 11.30 AM- 1.00 PM. Training during 21 to 28 July 2011. 38. SRI technique of rice cultivation. In: 10 days training programme (25th July to 3rd August 2011) on “Skill development & Exposure visit of farmers and entrepreneurs”. Lecture given on 27-07-2011, 12.00- 1.00 PM. Organized by CATAT, IARI, New Delhi. 39. Soil carbon management for sustainable agriculture. In: 1 day training programme (25-08-2011) for extension functionaries, progressive farmers of Delhi Government, on “Soil carbon and water management in Agri-Farming”. Lecture given on 25-08-2011, 11.15- 12.00 PM. Organized by ATIC, IARI, New Delhi. 40. Integrated nutrient management in food crops. In: 1 day training programme (06-09-2011) for extension functionaries, progressive farmers of Delhi Government, on “Integrated nutrient management for major crops and vegetables”. Lecture given on 06-09-2011, 11.30 AM- 12.30 PM. Organized by CATAT, IARI, New Delhi. 41. Faslon mein akikrit poshan prabandhan. In: 7day training programme (24-30 December2011) for farmers of Patna (Bihar) on “Aadhunik Krishi evam Nursery Prabandhan”. Lecture given on 29-12-2011, 12.00- 1.00 PM. Organized by ATIC, IARI, New Delhi. 42. Integrated nutrient management in organic crops. In: 5 day training programme (01- 05 February 2011) for farmers of Jhalawar Dist (Rajasthan) on “Improved Agricultural Technologies for Organic Farming of Rabi Crops”. Lecture given on 02-02-2011, 9.30- 10.30 AM. Organized by CATAT, IARI, New Delhi. 43. Concepts and terminologies used in agriculture. In: Training on Field Survey, Electronic Compilation and Analysis of Data, 21-28 July 2012. Training Director: Dr Rajni Jain, Sr. Scientist, National Centre for Agricultural Economics and Policy Research (NCAP), New Delhi. Lecture delivered on 23-07-2012, 9.30-11.00 AM. 44. Organic farming and impacts. In: training programme on ‘Agricultural Research Planning and Impact Assessment’ during 17th August- 6th September 2012, under the aegis of the Centre for Advanced Faculty Training (CAFT) in Agricultural Economics. Division of Agricultural Economics, IARI, New Delhi 12. 31-08-2012, 2.00-3.30 PM. 45. Conservation agriculture for environmental management. 20-09-2012, 11.45 AM -1.00 PM. In : Model Training Course (MTC), sponsored by GOI, Directorate of Extension, Krishi Vistar Bhawan, Pusa, New Delhi on “Role of Environment Resources in Determining Agriculture Productivity” (14-21 September, 2012) for officials from State Development Departments. Organized by Centre for Environment Science and Climate Resilient Agriculture (CESCRA), IARI, New Delhi. 46. Water saving approaches in rice production. 20-12-2012, 10.30 -11.30 AM. In : Model Training Course (MTC), sponsored by GOI, Directorate of Extension, Krishi Vistar Bhawan, Pusa, New Delhi on “Management of Emerging Environmental Problems for Enhancing Agricultural Productivity” (17-24 December, 2012) for officials from State Development Departments. Organized by Centre for Environment Science and Climate Resilient Agriculture (CESCRA), IARI, New Delhi. 47. System of rice intensification (SRI) and aerobic rice culture. In: Training on “Improved Agricultural Technologies for Higher Productivity and Income” for farmers, entrepreneurs and officials of State Institute of Rural Development (SIRD), Guwahati, Assam (21-30 January 2013). Lecture given on 30-01-2013, 10.00- 11.00 AM. Organized by Dr Monika Wason, Course Director, ATIC and held at CATAT, IARI, New Delhi. 48. Water saving approaches in rice production. In: 21 days training on “Resource Conservation for Shaping Future Agriculture, 15th Feb to 7th March, 2013. Delivered on dated 24-02-2013, 10.30 AM – 12.00 Noon. Organized by Centre of Advanced Faculty Training, Department of Agronomy, College of Agriculture, G.B.P. 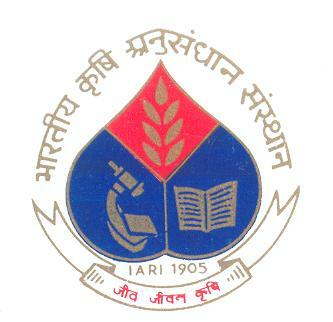 University of Agriculture & Technology, Pantnagar -263 145.